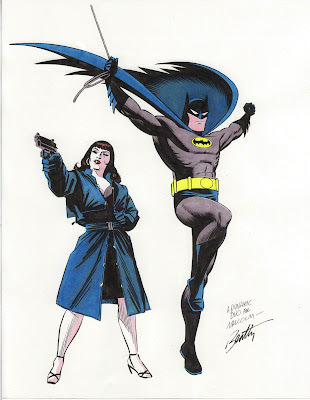 After a long break, due to a full schedule of teaching and comic book work, I'm once again taking commission orders from comic fans and art collectors. Below are a batch I just finished. 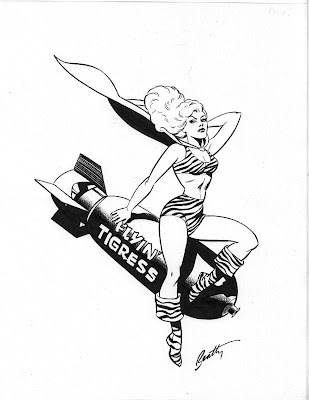 The babe on the bomb is "The Purple Tigress," an obscure Golden Age character drawn for a collection of "nose art"-inspired "bombshells." The next three all have a Batman connection. 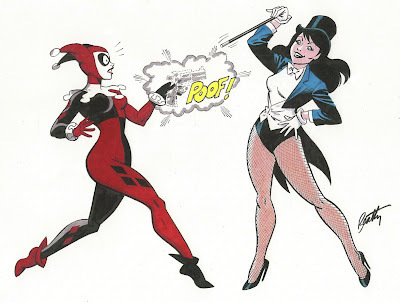 Here's bat-villain Harley Quinn having her evil plans scuttled by Zatanna. That Purple Tigress Bombshell! turned out wicked awesome, Mr. B. She's a Terry-fic addition to my theme! 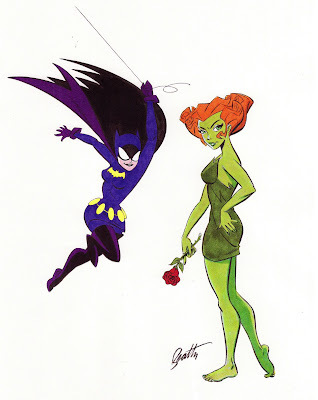 I'd read a Batman/Mrs. Tree book. Great stuff!